BERLIN -- Opel CEO Michael Lohscheller reaffirmed that the automaker's new owner, PSA Group, wants to invest in Germany and keep open factories if it can reach an agreement with workers to improve their competitiveness. Following the breakdown of Opel pay talks in Germany, PSA has suspended a plan to invest in production of a new SUV at Eisenach, which the IG Metall union said would have safeguarded only half of the plant’s 1,800 jobs. Union negotiators accused PSA of blackmail by demanding wage restraint for its entire 19,000 German work force as a precondition for investment at just one of its sites. Lohscheller said the automaker wants to invest in all its three German plants - the Eisenach and Ruesselsheim car factories and the Kaiserslautern component works but any investment is conditional upon them becoming competitive. Opel's plan for the Eisenach plant foresees starting production of an SUV as early as April 2019, well before the planned start of production of a new model provided for in the current collective agreement, Lohscheller said. Starting 2020, a second variant – a hybrid model – could follow in Eisenach, he said in a statement on Monday. "This plan is an improvement on the existing collective agreement. In order to be able to implement it, we must create competitive conditions for the location,” Lohscheller said. IG Metall had refused to defer the industrywide tariff increase of 4.3 percent for the duration of the negotiations and have so far "made no concrete proposal on how to reach the necessary productivity targets in Eisenach," he said. 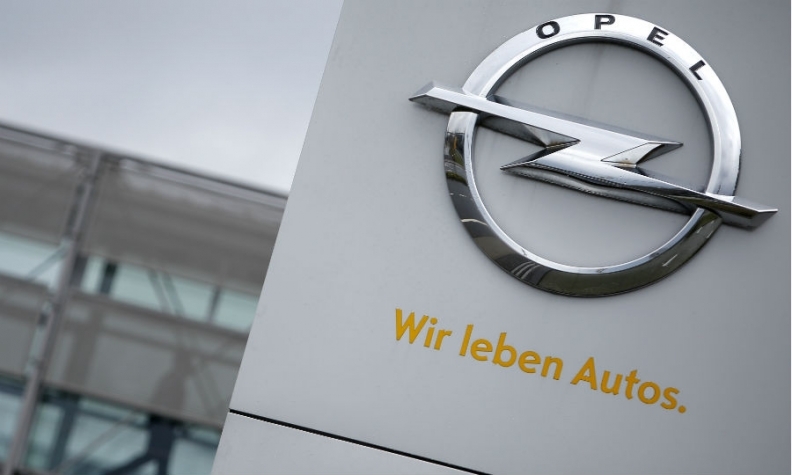 Opel is also offering projects and capacity utilization for the Kaiserslautern plant, which extend beyond the duration of the current collective agreement, he said. In Ruesselsheim, the company plans to launch a midsize vehicle on PSA's EMP2 platform, Lohscheller's statement said. Lohscheller said: "We trust in the process of codetermination and that an agreement with our German trade union partners can be found soon – in the interest of our employees." Opel already has concluded agreements to restore competitiveness in Spain, Poland, Austria and Hungary, he said. In the UK, a large majority of employees at Vauxhall's van factory in Lution approved a new agreement on Friday, triggering large investments. PSA has reached an agreement to cut jobs at Vauxhall's Ellesmere Port factory. Unions in the UK and France have voiced concern that Germany's IG Metall union is not making concessions. Opel's German works council on Monday insisted that management was not honoring their side of the bargain. "Lohscheller should tell the truth. The tariff agreements are not being adhered to in the product and project plans for factories and engineering," the company’s works council said. PSA last year paid General Motors $2.6 billion for money-losing Opel and its British sister brand Vauxhall and is now seeking to make savings. The German state of Thuringia is ready to offer assistance to Opel to keep the region's Eisenach plant open, state premier Bodo Ramelow told Reuters on Monday. The state could help with energy costs and property, he said, but would only lend assistance if wage bargaining parties returned to the negotiating table.